Rob Kardashian admits he doesn't want to get married because he's afraid it won't work out and he'll have to get a divorce. 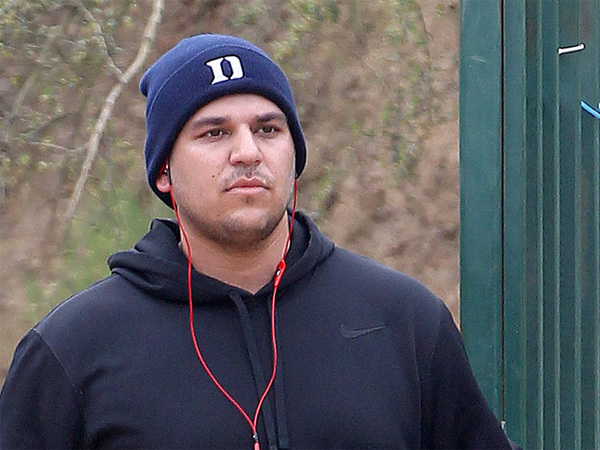 Rob Kardashian doesn't want to get married - because he's scared of getting divorced. The 26-year-old star - who had a highly-publicised relationship with Rita Ora in 2012 - is afraid of settling down with someone and doesn't want to get hitched in case it didn't work out and he had to go through the courts to separate. When asked what he was most afraid of, he said: "Probably picking a proper wife and not just rushing something. Actually, I'm probably not afraid of that because I probably just won't get married. But probably like finding the right one, because I don't really believe in divorce, so just finding the right girl." Meanwhile, the 'Keeping Up with the Kardashians' star - who appears on the show with his sisters Kim Kardashian, Khloe Kardashian and Kourtney Kardashian - rarely goes out any more to try and find a girlfriend and admits he spends most of his time playing video games long into the night. Speaking to the Huffington Post as part of its #nofilter series, he said: "I work out at 9.30 or 10 o'clock at night and sometimes I just keep going. I've never been a big sleeper. Me and all my buddies we don't really ever sleep that much. We're not partying either, we just don't sleep. We'd rather work on other things or do other things."